Water is the most valuable resource on earth...…and it should be treated as such. ProMinent specialises in reliable solutions for water treatment and disinfection that effectively eliminate bacteria, viruses and harmful substances. By Prodose Ltd based in Corby, UNITED KINGDOM. The LG Sonic technology controls suspended and filamentous algae without killing beneficial bacteria in (Waste)Water treatment plants. By bestUV BV based in Best, NETHERLANDS. The AQQA Filtration Technology is used in Drinking Water Treatment to: remove all non-dissolved substances from the water, like sediment, algea, particles, suspended solids, organic matter disinfection of the water by acting as a barrier for bacteria and virus remove particles from precipitation (removal of manganese, iron). Problem: To operate safely and efficiently, cargo ships take in water to provide stability. This water, referred to as ballast, carries all kinds of bacteria, microbes and micro-algae. The ballast water must inevitably be discharged when the ship takes on cargo, often thousands of kilometers away from the port of origin, transferring pathogens and aquatic organisms that can cause serious environmental, economic and health problems. Archaea bacteria can remove ammonia in aerobic as well as in anoxic, oxygen depleted wastewater. By QUA Group LLC based in Canonsburg, PENNSYLVANIA (USA). Effective Legionella Control Requires an Effective Biofilm Control Program. AMSA BCP chemistry when used with an oxidizing biocide provides a Legionella Control Program. 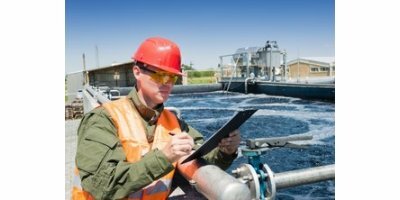 Outbreaks in Legionnaires’ Disease such as the one in the South Bronx in August 2015 highlights the importance of having an effective Legionella Control Program. Legionella bacteria grow in biofilms in building water systems, where they are protected from the disinfecting action of oxidizing and non-oxidizing biocides. THE AQQA FILTRATION TECHNOLOGY IS USED IN WASTEWATER TREATMENT TO: seperate the mixed liqour from the clear water phase in Membrane Bio Reactors (MBR). remove bacteria and virus from wastewater. 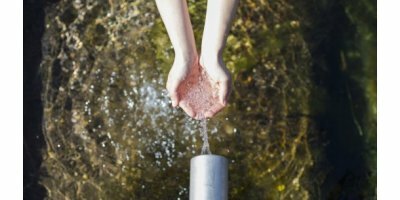 remove particles (and attached organic and inorganic material) from any wastewater, thus reducing the freight of chemicals and the charges for the COD load (e.g. in Germany). AQQA is used in industrial wastewater treatment to: separate the sludge from the clear water in membrane bio reactors. constitute the final filtration of the effluent of standard sewage treatment plants (tertiary treatment). keep specialized bacteria in the system, that can biologically degrade organic matter. enable Zero Liquid Discharge: prefiltration for reverse osmosis systems.